William Gontram, MAI. was a staff appraiser for the General Services Administration, United States of America. 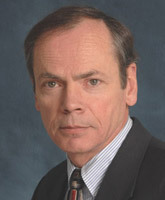 From 1990 to 2004, Mr. Gontram was the Director and Senior Appraiser for Marshall & Stevens, Inc. He has appraised properties throughout the United States for purposes of financing, portfolio management, component allocation and tax accounting including land use and highest and best analysis. A Senior Appraiser with Keystone Appraisal Company, he has appraised utility easements and rights-of-way, industrial portfolios, potential takings and condemnations. A Member of the Appraisal Institute, Mr. Gontram is a state-certified general real estate appraiser in Pennsylvania. He holds a BBA Degree in Economics from Temple University and has completed graduate studies in Urban Planning at The University of Arizona and Rutgers University.